Happy Thursday everyone! Robin here with my inspiration of the week for Dies R Us! I hope you hop on over to our store and check out all the new dies. It seems each week more companies are being added to the shop, we now have Lawn Fawn, with their coordinating stamps. My card for the week was made for my girlfriend Judy, it was her birthday a few weeks ago. Just like Sunflowers, Judy always puts a smile on my face with her crazy life. 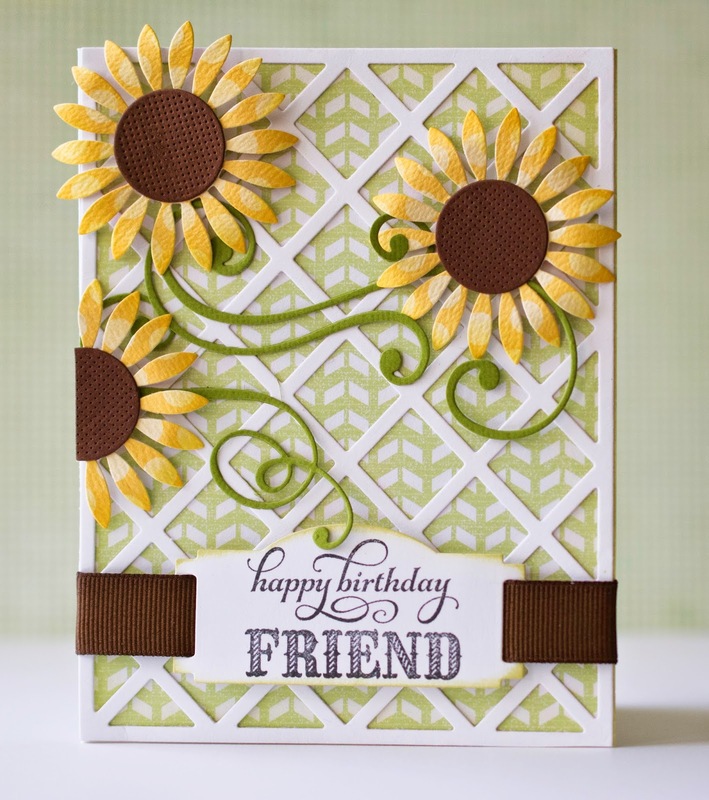 My card uses two Cheery Lynn dies, Sunflower and Lattice 2. Behind the Sunflowers I used Taylored Expressions Curly Swirlies die. The Swirlie die is such a useful die cut for that little flourish behind flowers and when you need a little something on your project but just don't know what. I used a Spellbinders Ribbon Tag Trio 1 die to stamp the sentiment; what I love about this tag set is you can add a complimentary ribbon easily to your card without any trouble at all. I hope you have been stopping by our Dies R Us Challenge Blog to see all the entries and the wonderful samples from our design teams. I love this card! 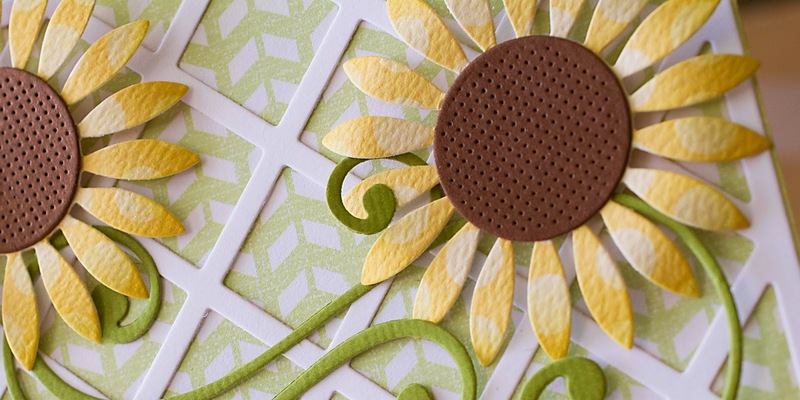 Such clean lines with the bright pop of color from the sunflowers makes this card just beautiful. What a perfect birthday card! Now I have to add those sunflowers to my growing want list!